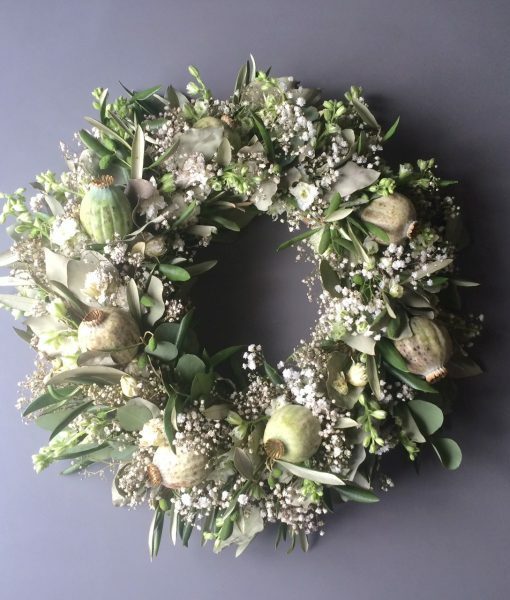 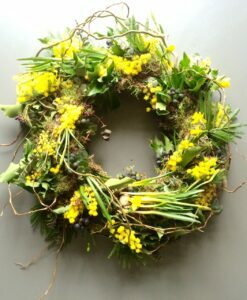 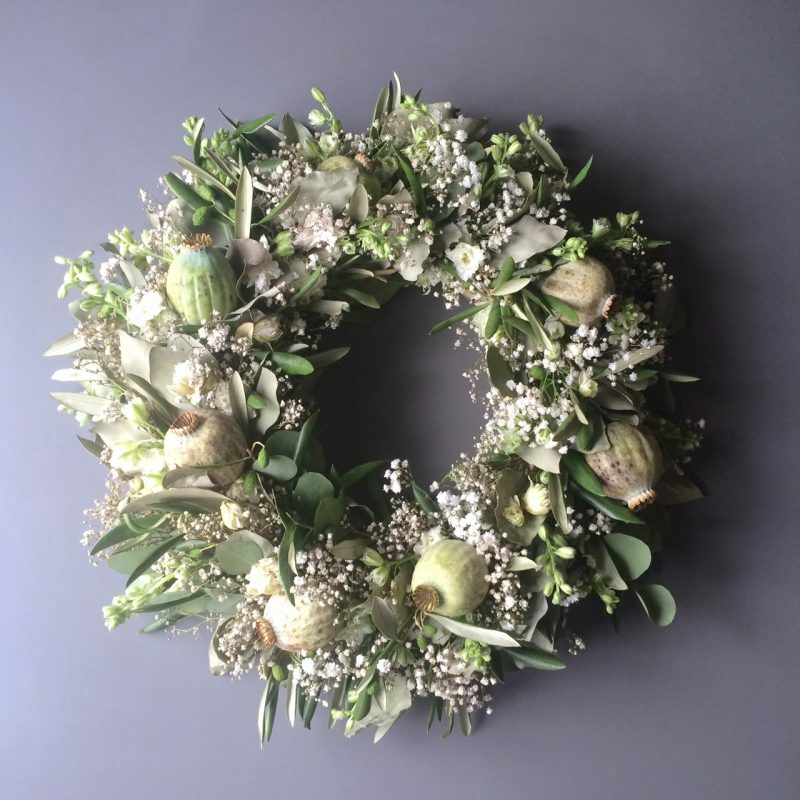 A summer wreath with poppy seedheads, larkspur, gypsophelia, olive and eucalyptus. 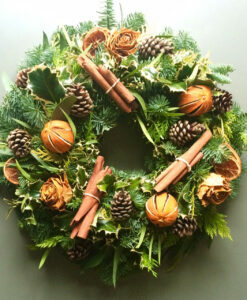 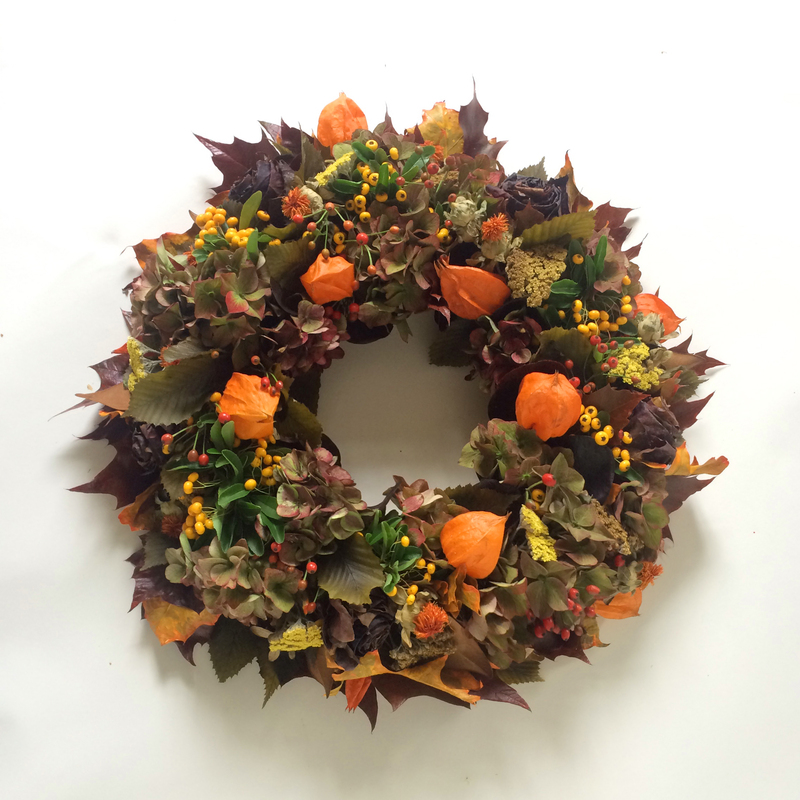 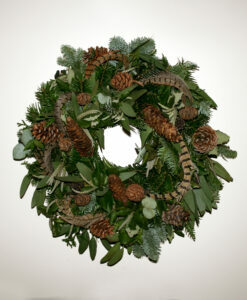 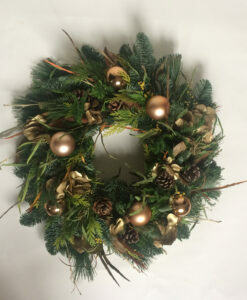 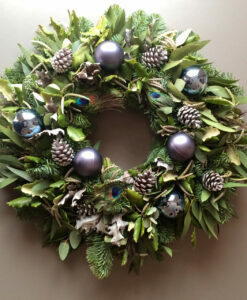 This wreath will brighten up any door or table and will last 6-8 weeks. 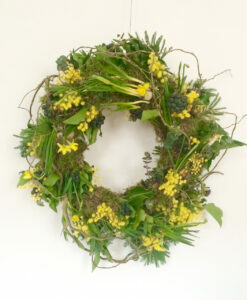 Pink or lavender larkspur available on request.